ITS 2AM WED OCT 31,12 AND THE STOCK MARKET WILL BE OPEN TODAY. ITS 10:00AM WED OCT 31,12 AND THE STOCK MARKET IS UP AND GOING WITH MINOR GLITCHES.THIS IS THE FIRST TIME THE STOCK MARKET HAS BEEN CLOSED IN NEW YORK FOR 2 DAYS SINCE A BLIZZARD DONE IT IN 1888. ITS 11:25AM OCT 31,12 AND THE DEATH TOTAL IS 50 AND UNTOLD MILLIONS STILL WITHOUT POWER IN THE USA.IN CANADA LAST REPORT I HEARD 10,000 WERE WITHOUT POWER AND 1 DEAD FROM HURRICANE SANDY. ITS 1:50PM OCT 31,12 AND 61 DEAD + 1 CAN AND 6.1 MILLION STILL WITHOUT POWER IN AMERICA. ITS 6PM AND OF THE 61 KILLED,14 CAME FROM STATEN ISLAND NEW YORK ALONE.AND 700 PATIENCES WERE EVACUATED FROM BELLEVUE HOSPITAL IN NEW YORK AS THE GENERATORS STOPPED WORKING AND THE PATIENCES WENT BY AMBULENCES TO OTHER HOSPITALS IN NEW YORK. NEW YORK (Reuters) - The northeastern United States battled epic flood waters and lengthy power outages on Tuesday after the massive storm Sandy pummeled the coast with a record storm surge, high winds and heavy rains that killed at least 45 people and caused billions of dollars in losses.Millions of people in New York City and other hard-hit areas will spend days or weeks recovering from a storm already seen as far more destructive that Hurricane Irene, which slammed into the same region a year ago. One disaster modeling company said Sandy may have caused up to $15 billion in insured losses.The storm killed 18 people in New York City, among 23 total in New York state, while six died in New Jersey. Seven other states reported fatalities.Some 8.2 million homes and businesses in several states were without electricity as trees toppled by Sandy's fierce winds took down power lines.Sandy hit the coast with a week to go to the November 6 presidential election and turned its fury inland with heavy snowfall, dampening an unprecedented drive to encourage early voting and raising questions whether some polling stations will be ready to open on Election Day.New York City will struggle without its subway system, which was inundated and will remain shut for days. Much of the Wall Street district was left underwater but officials hoped to have financial markets reopen on Wednesday.Sandy was the biggest storm to hit the country in generations when it crashed ashore with hurricane-force winds on Monday near the New Jersey gambling resort of Atlantic City, devastating the Jersey Shore tourist haven. Flood waters lifted parked cars and deposited them on an otherwise deserted highway.With the political campaign and partisanship on hold, Democratic President Barack Obama and Republican New Jersey Governor Chris Christie planned to tour New Jersey disaster areas on Wednesday. "It's total devastation down there. There are boats in the street five blocks from the ocean," said Peter Sandomeno, an owner of the Broadway Court Motel in Point Pleasant Beach, New Jersey.Christie, who has been a strong supporter of Republican presidential challenger Mitt Romney, praised Obama and the federal response to the storm.Obama and Romney put campaigning on hold for a second day but Romney planned to hit the trail again in Florida on Wednesday and Obama seemed likely to resume campaigning on Thursday for a final five-day sprint to Election Day.Obama faces political danger if the government fails to respond well, as was the case with predecessor George W. Bush's botched handling of Hurricane Katrina in 2005. Obama has a chance to show that his administration has learned the lessons of Katrina and that he can lead during a crisis. Sandy brought a record storm surge of almost 14 feet to downtown Manhattan, well above the previous record of 10 feet during Hurricane Donna in 1960, the National Weather Service said.The storm forced New York City to postpone its traditional Halloween parade, which had been set for Wednesday night in Greenwich Village and threatened to disrupt Sunday's New York City marathon.The lower half of Manhattan went dark when surging seawater flooded a substation and as power utility Consolidated Edison shut down others pre-emptively. Some 250,000 customers lost power.Fire ravaged the Breezy Point neighborhood in the borough of Queens, destroying 110 homes and damaging 20 while destroying still more in the nearby neighborhood of Belle Harbor. Remarkably, no fatalities were reported. "To describe it as looking like pictures we've seen of the end of World War Two is not overstating it," New York Mayor Michael Bloomberg said after touring the area. "The area was completely leveled. Chimneys and foundations were all that was left of many of these homes. "Hospitals closed throughout the region, forcing patients to relocate and doctors to carry premature babies down more than a dozen flights of stairs at one New York City facility. While some parts of the city went unscathed, neighborhoods along the East and Hudson rivers bordering Manhattan were underwater and expected to be without power for days, as were low-lying streets in Battery Park near Ground Zero, where the World Trade Center stood before the September 11, 2001, attacks. "I'm lucky to have gas; I can make hot water. But there is no heating and I'm all cold inside," said Thea Lucas, 87, who lives alone in Manhattan's Lower East Side. WASHINGTON (Reuters) - Limited passenger train services will resume along the U.S. East Coast on Wednesday as transportation slowly returns to normal after Hurricane Sandy, but flooding in tunnels is still blocking access to New York City, Amtrak said on Tuesday.Services provided by rail company Amtrak along the busy Northeast corridor were suspended on Monday as the storm hit the eastern United States, flooding tracks and roads, felling trees and power lines.Amtrak said it would provide modified Northeast regional services south from Newark in New Jersey from Wednesday. Routes would include a Virginia service, trains between Harrisburg and Philadelphia, and services between Boston, Portland and Maine. STAN HONDA/AFP/GETTY IMAGES Gavin Byrne views damage in the Breezy Point area of Queens in New York on Tuesday after fire destroyed about 80 homes as a result of Hurricane Sandy. NEW YORK- People in the heavily populated U.S. East Coast corridor battered by superstorm Sandy took the first cautious steps to reclaim their upended daily routines, even as rescuers combed neighbourhoods strewn with debris and scarred by floods and fire. But while New York City buses returned to darkened streets eerily free of traffic and the New York Stock Exchange was set to reopen its storied trading floor Wednesday, it became clear that restoring the region to its ordinarily frenetic pace could take days — and that rebuilding the hardest-hit communities and the transportation networks that link them together could take considerably longer. Sandy: did climate change play a part? “We will get through the days ahead by doing what we always do in tough times — by standing together, shoulder to shoulder, ready to help a neighbour, comfort a stranger and get the city we love back on its feet,” New York Mayor Michael Bloomberg said. What food should you toss in a power failure? As New York began its second day after the megastorm, morning rush-hour traffic was heavy as people started returning to work. There was even a sign of normalcy: commuters waiting at bus stops.On the Brooklyn Bridge, closed earlier because of high winds, joggers and bikers made their way across the span before sunrise. One cyclist carried a flashlight. Car traffic on the bridge was busy, and slowed as it neared Manhattan. President Barack Obama was planning to visit New Jersey on Wednesday to see the area near Atlantic City where the violent storm made landfall two days before. With the presidential election just six days away, Obama was cancelling campaign events for the third straight day to focus on co-ordinating the response to the superstorm. His Republican rival Mitt Romney planned to resume full-scale campaigning in Florida on Wednesday.By late Tuesday, the winds and flooding inflicted by the fast-weakening Sandy had subsided, leaving at least 55 people dead along the Atlantic Coast and splintering beachfront homes and boardwalks from the mid-Atlantic states to southern New England.The storm later moved across Pennsylvania on a predicted path toward western New York State and Canada.At the height of the disaster, more than 8.2 million customers lost electricity — some as far away as Michigan. Nearly a quarter of those without power were in New York, where lower Manhattan's usually bright lights remained dark for a second night. By sundown Tuesday, however, announcements from officials and scenes on the streets signalled that New York and nearby towns were edging toward a semblance of routine.First came the reopening of highways in Connecticut and bridges across the Hudson and East rivers, although the Brooklyn-Battery Tunnel, connecting Brooklyn to Manhattan, and the Holland Tunnel, between New York and New Jersey, remained closed.A limited number of the white and blue buses that crisscross New York's grid returned Tuesday evening to Broadway and other thoroughfares on a reduced schedule — but free of charge. Gov. Andrew Cuomo said he hoped there would be full service by Wednesday. Still, school was cancelled for a third straight day Wednesday in the city, where many students rely on buses and subways to reach classrooms. In one bit of good news, officials announced that John F. Kennedy International Airport in New York and Newark International Airport in New Jersey would reopen at 7 a.m. Wednesday with limited service. New York's LaGuardia Airport remains closed.The New York Stock Exchange was set to open again Wednesday after being closed for two days — the first weather-related, two-day closure since the 19th century — but trading was scheduled to resume Wednesday morning with Bloomberg ringing the opening bell.Amtrak also laid out plans to resume some passenger train service in the Northeast on Wednesday. But flooding continues to prevent service to and from New York's Penn Station. Amtrak said the amount of water in train tunnels under the Hudson and East rivers is unprecedented. There will be no Northeast Regional service between New York and Boston. No date has been set for when it might resume.But even with the return of some transportation and plans to reopen schools and businesses, the damage and pain inflicted by Sandy continued to unfold, confirming the challenge posed by rebuilding.In New Jersey, amusement rides that once crowned a pier in Seaside Heights were dumped into the ocean, some homes were smashed, and others were partially buried in sand.Farther north in Hoboken, across the Hudson from Manhattan, New Jersey National Guard troops arrived Tuesday night with high-wheeled vehicles to reach thousands of flood victims stuck in their homes. They arrived to find a town with live wires dangling in the floodwaters that Mayor Dawn Zimmer said were rapidly mixing with sewage. At nightfall, the city turned almost completely dark.About 2.1 million homes and businesses remained without power across New Jersey late Tuesday. When Tropical Storm Irene struck last year, it took more than a week to restore power everywhere. The state's largest utility, PSE&G, said it was trying to dry out substations it had to shut down. Outages in the state's two largest cities, Newark and Jersey City, left traffic signals dark, resulting in numerous minor accidents at intersections where police were not directing traffic. And in one Jersey City supermarket, there were long lines to get bread and a spot at an outlet to charge cellphones.Trees and power lines were down in every corner of the state. Schools and state government offices were closed for a second day, and many called off classes for Wednesday, too. The governor said the PATH trains connecting northern New Jersey with Manhattan would be out of service for at least seven to 10 days because of flooding. All the New Jersey Transit rail lines were damaged, he said, and it was not clear when the rail lines would be able to open.___Contributors to this report included Associated Press writers Angela Delli Santi in Belmar, New Jersey; Geoff Mulvihill and Larry Rosenthal in Trenton, New Jersey; Katie Zezima in Atlantic City, New Jersey; Samantha Henry in Jersey City, New Jersey; Pat Eaton-Robb and Michael Melia in Hartford, Connecticut; Susan Haigh in New London, Connecticut; John Christoffersen in Bridgeport, Connecticut; Alicia Caldwell and Martin Crutsinger in Washington; David Klepper in South Kingstown, Rhode Island; David B. Caruso, Colleen Long, Jennifer Peltz, Tom Hays, Larry Neumeister, Ralph Russo and Scott Mayerowitz in New York. NEW YORK (Reuters) - The U.S. Northeast began crawling back to normal on Wednesday after monster storm Sandy crippled transportation, knocked out power for millions and killed at least 45 people in nine states with a massive storm surge and rain that caused epic flooding.Financial markets reopened with New York Mayor Michael Bloomberg ringing the opening bell at the New York Stock Exchange, and packed buses took residents back to work with the subway system halted after seawater flooded its tunnels. John F. Kennedy and Newark airports reopened with limited service after thousands of flights were canceled, leaving travelers stuck for days. New York's LaGuardia Airport, the third of the airports that serve the nation's busiest airspace, was flooded and remained closed.It will take days or weeks to recover from the massive power and mass transit outages.With six days to go before the November 6 elections, President Barack Obama will visit storm-ravaged areas of the New Jersey shore, where Sandy made landfall on Monday.He will be accompanied by Republican Governor Chris Christie, a vocal backer of presidential challenger Mitt Romney. Nevertheless, Christie has praised Obama and the federal response to the storm. The storm killed 27 people in New York state, including 22 in New York City, and six in New Jersey. Seven other states reported fatalities. One disaster-modeling company said Sandy may have caused up to $15 billion in insured losses.Sandy killed 69 people in the Caribbean last week before it slammed into the U.S. East Coast and pushed inland, dumping snow in the Appalachian Mountains and other inland areas. Remnants of the storm churned slowly over Pennsylvania on Wednesday, the National Weather Service said. Winter storm warnings were in effect from southwestern Pennsylvania to eastern Tennessee.Battered by a record storm surge of nearly 14 feet of water, large sections of New York City remained submerged under several feet of water. In the city's borough of Staten Island, police used helicopters to pluck stranded residents from rooftops.Across the Hudson River in Hoboken, New Jersey, members of the National Guard arrived to help residents pump floodwater from their homes, the city said on Twitter.More than 8.2 million homes and businesses remained without electricity across several states after trees toppled by fierce winds tore down power lines.In New Jersey, Christie said it could take seven to 10 days before power was restored statewide.Subway and commuter tunnels under New York City, which carry several million riders a day, were under several feet of water.In the lower half of Manhattan, a quarter of a million residents remained without power after a transformer explosion at a Con Edison substation Monday night. New York City likely will struggle without subway service for days, authorities said. Buses were operating on a limited basis and many residents were walking long distances or scrambling to grab scarce taxi cabs on the streets.Sunday's New York Marathon will go on as scheduled, but Wednesday night's Halloween parade through Greenwich Village was postponed. On Broadway, the Theater League announced that most shows would resume performances on Wednesday. Shows had been canceled since Sunday due to the storm. - INJURIES/DEATHS: Seven people were killed, including a 66-year-old man who died of carbon monoxide poisoning from fumes from a generator in the garage of an eastern Pennsylvania home that also sent several other people to the hospital, and a 90-year-old woman in suburban Philadelphia found dead of apparent carbon monoxide poisoning, also from a generator in use during the storm. An 8-year-old Susquehanna County boy died when a tree limb fell on him. In Berks County, a 62-year-old man was killed after a tree fell atop his house. A man trimming a tree in preparation for the storm fell and died in Lancaster County. A vehicle passenger died in Somerset County when the car she was riding in slid off a snowy, slushy road and overturned into a pond. A 17-year-old riding an ATV in Northampton County died after striking a fallen tree during the storm. An infant was slightly injured when a tree fell on a house in Delaware County. In addition, a York County woman was charged after she jumped into a raging creek to "save" a couple dozen wild ducks. — POWER OUTAGES: About 850,000 customers remained without power Wednesday morning down from a peak of more than 1.2 million customers throughout Pennsylvania on Tuesday, according to utilities FirstEnergy, PECO and PPL. That figure ranks among the top three storms ever with hurricanes Agnes (1972) and Floyd (1999), according to the Pennsylvania Public Utility Commission. Gov. Tom Corbett said he is working to ensure that power outages caused by this week's storm will not interfere with voting for president and other major offices next week. — SHELTERS: Approximately 450 people were in shelters across the state Tuesday, down from more than 900 earlier in the day, according to Corbett. Pennsylvania opened "mega-shelters" at two state-owned universities to help 1,800 people left homeless in New Jersey, New York and Pennsylvania. Tuesday's absentee ballot application deadline has been extended for a day or two for counties where courthouses were closed Monday, Tuesday, or both. — QUOTE OF THE DAY: "Anybody without electricity is probably not saying we dodged a bullet." — Gov. Tom Corbett on Tuesday after detailing that more than 1.2 million people in Pennsylvania are without power. NEW YORK (Reuters) - New York City's Bellevue Hospital Center, which has been operating on backup generators since massive storm Sandy pummeled the city, is being evacuated, New York Mayor Michael Bloomberg said on Wednesday.About 500 patients at the city hospital near the East River in Manhattan are affected. Bellevue has one of the busiest emergency departments in the city.Several area hospitals, including The Mount Sinai Hospital and St. Luke's Roosevelt Hospital Center, have agreed to take some of Bellevue's patients. "We learned this morning that Bellevue will now have to evacuate because of damage that it has sustained," Bloomberg told a news conference. "They didn't think the damage was that bad, and they had a generator going. But the bottom line is when they got into the basement they realized there was more damage," Bloomberg said.Outside Bellevue, the oldest of New York's public hospitals, a long line of ambulances waited to ferry patients to other medical centers.A handful of New York hospitals had already been evacuated due to the storm that caused record flooding in parts of the city.New York University's Langone Medical Center near the East River was forced to evacuate all 215 of its patients, including critically ill infants, when its backup generator failed after some eight feet of water flooded its basement.The Manhattan Veterans Affairs Hospital and the New York Downtown Hospital, both in low-lying areas of lower Manhattan, evacuated patients before the storm hit, and Brooklyn's Coney Island Hospital near the Atlantic Ocean beaches was later evacuated.A spokeswoman for New York Presbyterian Hospital said it was accepting transfers from Bellevue, but she was unsure of the number. It had already taken patients from three other medical centers, including NYU Langone.Bellevue, known for its psychiatric care facilities, has many other therapeutic departments. The hospital has long been an important resource for the city's poor and uninsured.Jarron Franklyn, 28, who works in Bellevue's rehabilitation department, said: "The power is down, and we have flooding in the basement." He said a back-up generator was still running.A New York Police Department spokesman said National Guard members were assisting with the Bellevue evacuation. Dennis Jiosne, 34, a patient from Point Pleasant, New Jersey, was evacuated by stairs from the hospital's 16th floor. He said National Guardsmen in the stair well were passing people food and water. (Reuters) - About 6 million homes and businesses in 15 states remained without power on Wednesday as utilities scrambled to restore service disrupted by Hurricane Sandy, federal data showed.The power companies had restored electricity to some 2.4 million customers in the Northeast, although the pace of recovery in New York appeared to lag behind other storm-hit states, the data showed.At the storm's peak impact on Tuesday, 8.48 million customers in 21 states from North Carolina to Maine and as far west as Illinois were without power after Sandy came ashore with hurricane-force winds in New Jersey late Monday, according to Department of Energy (DOE) data.Power has been restored to nearly 600,000 customers in New Jersey, out of more than 2.6 million that lost power, although more than half the state still remains in the dark, according to the data as of 3 p.m EDT.In New York, where Sandy knocked out power to nearly a third of the customers in New York City and Westchester County, only about 150,000 customers of the total 2.1 million that lost power in the state have seen it restored, according to the figures.The DOE did not provide any further comment or explanation for the figures. In New York, power company Consolidated Edison Inc said about 795,000 storm-hit homes and businesses in New York City and Westchester County remained without power.Con Edison said its crews had restored service to about 109,000 customers by 11:00 a.m. EDT (1500 GMT) Wednesday.That is less than the estimated 140,000 customers the company said it restored on Tuesday. Officials at Con Edison were not immediately available to explain the difference.Con Edison said those customers still out include: about 237,000 in Manhattan, 115,000 in Staten Island, 109,000 in Queens, 108,000 in Brooklyn, 40,000 in the Bronx, and 176,000 in Westchester County.The power company said its Courtland district in Manhattan, which spans from just below the World Trade Center to the lower tip of the island, regained power Wednesday morning, and restoration of the company's Brighton Beach district in Brooklyn is expected by 4 p.m., said John Miksad, senior vice president of electric operations at Con Edison.Customers in Manhattan and Brooklyn, who are served by underground electrical equipment, should have power back within three days.Restoration to all customers in other areas served by overhead power lines like Westchester and Staten Island will take at least a week.Miksad said there was a large crew assembled at Con Edison's 14th Street station, the site of a large explosion that caused most of lower Manhattan's power outages, and customers served by this station are expected to regain power by Friday or Saturday.For areas served by underground wires, Con Edison said workers must clean and dry equipment of seawater before it can be safely placed back in service. "In 120 years we've never seen damage this significant," Miksad said.Con Edison said Sandy was the largest storm-related outage in its history. The previous record was the more than 200,000 customers affected by Hurricane Irene in 2011.Irene left an estimated 8.38 million customers out along the U.S. East Coast from South Carolina to Maine.Tuesday night, Con Edison said it cut power to about 160,000 customers in southern Brooklyn and central Staten Island due to Sandy-related problems on high-voltage systems supplying electricity to those areas.The company also said it reduced the voltage in several neighborhoods in Brooklyn by 8 percent Tuesday night as workers fixed problems there. HERE WE GO.WHAT AN OPPORTUNITY FOR THE GLOBAL WARMING NUTCASES TO PROAGANDISE AND DECIEVE ABOUT THE CULT GLOBAL WARMING.I HEARD LOTS-MEANING 4 OR 5 ANALYSTS ON CNN (OBAMAS AGENTS OF PROPAGANDA).THAT THIS STORM WAS CAUSED BY GLOBAL WARMING.GET READY TO PAY YOUR CARBON TAXES TO AL GORE AND OBAMA-FOR THE GOOD OF THE EARTH OF COURSE. WASHINGTON (AP) — Climate scientist Michael Oppenheimer stood along the Hudson River and watched his research come to life as Hurricane Sandy blew through New York.Just eight months earlier, the Princeton University professor reported that what used to be once-in-a-century devastating floods in New York City would soon happen every three to 20 years. He blamed global warming for pushing up sea levels and changing hurricane patterns.New York "is now highly vulnerable to extreme hurricane-surge flooding," he wrote.For more than a dozen years, Oppenheimer and other climate scientists have been warning about the risk for big storms and serious flooding in New York. A 2000 federal report about global warming's effect on the United States warned specifically of that possibility.Still, they say it's unfair to blame climate change for Sandy and the destruction it left behind. They cautioned that they cannot yet conclusively link a single storm to global warming, and any connection is not as clear and simple as environmental activists might contend. Some individual parts of Sandy and its wrath seem to be influenced by climate change, several climate scientists said.First, there's sea level rise. Water levels around New York are a nearly a foot higher than they were 100 years ago, said Penn State University climate scientist Michael Mann.Add to that the temperature of the Atlantic Ocean, which is about 2 degrees warmer on average than a century ago, said Katharine Hayhoe, a climate scientist at Texas Tech University. Warm water fuels hurricanes.And Sandy zipped north along a warmer-than-normal Gulf Stream that travels from the Caribbean to Ireland, said Jeff Masters, meteorology director for the private service Weather Underground.Meteorologists are also noticing more hurricanes late in the season and even after the season. A 2008 study said the Atlantic hurricane season seems to be starting earlier and lasting longer but found no explicit link to global warming. Normally there are 11 named Atlantic storms. The past two years have seen 19 and 18 named storms. This year, with one month to go, there are 19.After years of disagreement, climate scientists and hurricane experts have concluded that as the climate warms, there will be fewer total hurricanes. But those storms that do develop will be stronger and wetter.Sandy took an unprecedented sharp left turn into New Jersey. Usually storms keep heading north and turn east harmlessly out to sea. But a strong ridge of high pressure centered over Greenland blocked Sandy from going north or east, according to the National Hurricane Center. Jennifer Francis of Rutgers University, an expert in how a warming Arctic affects extreme weather patterns, said recent warming in the Arctic may have played a role in enlarging or prolonging that high pressure area. But she cautioned it's not clear whether the warming really had that influence on Sandy.While components of Sandy seem connected to global warming, "mostly it's natural, I'd say it's 80, 90 percent natural," said Gerald North, a climate professor at Texas A&M University. "These things do happen, like the drought. It's a natural thing. "On Tuesday, both New York Mayor Michael Bloomberg and Gov. Andrew Cuomo said they couldn't help but notice that extreme events like Sandy are causing them more and more trouble. "What is clear is that the storms that we've experienced in the last year or so, around this country and around the world, are much more severe than before," Bloomberg said. "Whether that's global warming or what, I don't know. But we'll have to address those issues. "Cuomo called the changes "a new reality. ""Anyone who says that there's not a dramatic change in weather patterns I think is denying reality," Cuomo said. "I told the president the other day: 'We have a 100-year flood every two years now. '"For his published research, Oppenheimer looked at New York City's record flood of 1821. Sandy flooded even higher. This week's damage was augmented by the past century's sea level rise, which was higher than the world average because of unusual coastal geography and ocean currents. Oppenheimer walked from his Manhattan home to the river Monday evening to watch the storm. "We sort of knew it could happen, but you know that's different from actually standing there and watching it happen," Oppenheimer said from a cell phone. "You don't really imagine what this looks like until you see it. "___Associated Press writers Jennifer Peltz and Malcolm Ritter in New York and Michael Gormley in Albany contributed to this report.___Seth Borenstein can be followed at http://twitter.com/borenbears . (Reuters) - An unknown amount of fuel spilled from a northern New Jersey oil facility that had been closed due to Sandy, the storm that battered the U.S. Northeast, the site's operator said on Wednesday. Motiva, a joint venture of Shell Oil and Saudi Refining, said the spill occurred at its Sewaren, New Jersey, facility, along the Arthur Kill, the tidal waterway separating New Jersey from Staten Island, New York. NEW YORK (Reuters) - New York City and the sodden Northeast began an arduous journey back to normal on Wednesday after mammoth storm Sandy killed at least 64 people in a rampage that swamped coastal cities and cut power to millions.Financial markets reopened with the New York Stock Exchange running on generator power after the first weather-related two-day closure since an 1888 blizzard. Packed buses took commuters to work with New York's subway system halted after seawater flooded its tunnels. President Barack Obama, who has halted campaigning with the election six days away, set aside political differences with New Jersey Republican Governor Chris Christie for a helicopter tour of the devastated coast, where they saw flooded and sand-swept neighborhoods and burning homes. "The entire country's been watching. Everyone knows how hard Jersey has been hit," Obama told residents at an evacuation shelter in the town of Brigantine. "We're not going to tolerate any red tape. We're not going to tolerate any bureaucracy," he said of the relief effort.Sandy crashed ashore with 80 mile-per-hour (130-kph) winds on Monday as a rare hybrid superstorm after merging with another system. It was the largest storm by area to hit the United States in generations, after killing 69 people as a hurricane in the Caribbean.Sandy was likely to rank as one of the costliest storms in U.S. history. One disaster-modeling firm said Sandy may have caused up to $15 billion in insured losses. About 6 million homes and businesses in 15 U.S. states remained without power on Wednesday, down from a high of nearly 8.5 million, which surpassed the record 8.4 million customers who went dark from last year's Hurricane Irene.While markets reopened, floodwaters receded and residents went back to work by car, bicycle and bus in New York, the country's most populous city suffered some setbacks. Damage forced evacuation of Bellevue Hospital, known for psychiatric and emergency care.Five hundred patients were being moved, Mayor Michael Bloomberg said. Evacuations of four other hospitals and 17 chronic care facilities had already been ordered.An evacuation order for 375,000 New Yorkers in low-lying areas remained in effect. With subways down, the mayor said cars must have at least three passengers to enter Manhattan.Across the Hudson River in Hoboken, New Jersey, water that reached chest high on Monday was knee high on Wednesday morning. "I thought it was the end. I kept telling my sons to pray," said Marcelina Rosario, 47, who was trapped in the second floor of her Hoboken apartment. "Everything happened so fast. The water started coming up, the refrigerator was floating. "In Point Pleasant Beach, New Jersey, a few hundred people strolled the storm-shattered boardwalk on Wednesday, stepping around piles of broken boards, sand and debris as crews used heavy equipment to clear 2 feet of sand from nearby streets.More than half of all the gas stations in the New York City area and New Jersey were closed due to power outages and depleted fuel supplies, frustrating attempts to restore normal life, industry officials said. Tempers flared and horns blared in a line of some 30 cars at a Getty service station in Gowanus in the New York City borough of Brooklyn. "I don't have any lights and need this gasoline for my generator," said Abdul Rahim Anwar as he put two full jerry cans into his trunk.The New York area's John F. Kennedy and Newark airports reopened after thousands of flights had been canceled, leaving travelers stuck for days. LaGuardia, a third major airport, was scheduled to reopen on Thursday.Limited New York subway service was due to start on Thursday, four days after the system, with daily traffic of about 5.5 million people, shut down.Brooklynite Matthew Gessler went to Breezy Point, the New York neighborhood where fire destroyed 111 homes, to inspect damage to his mother's house, and was disturbed by what he saw. "Where the fire happened, you could honestly take that picture and say it was somewhere in the Middle East, like in Afghanistan, and no one would doubt you at all," said Gessler, 35. "There were houses that just got picked up and washed away. So you'd be walking down the street and there'd be a house in the middle of the street. "Queens District Attorney Richard Brown said more than a dozen people had been charged with theft and looting in connection with the storm for targeting businesses in the badly flooded Far Rockaway neighborhood of the New York City borough. With six days to go before Tuesday's presidential election, Obama and Christie put aside politics to tour devastated areas together. The two men boarded the president's Marine One helicopter and from the air saw wrecked piers, swamped beach homes and streets under water. "We are here for you and we will not forget," Obama said.Christie, a vocal backer of Republican presidential candidate Mitt Romney, has repeatedly praised Obama and the federal response to Sandy. "I cannot thank the president enough for his personal concern and his compassion," Christie, known for his aggressive political style, said after the tour. WITH JUST A FEW GLITCHES.THE STOCK MARKET IN NEW YORK OPENED UP ON TIME TODAY AFTER 2 LOST DAYS. I WON'T SAY HAVE A GREAT HALLOWEEN, BECAUSE I DO NOT CELEBRATE HALLOWEEN.JUST HAVE A GREAT DAY IN KING JESUS OUR JEWISH MESSIAH. RAMALLAH, West Bank (Reuters) - Palestinians have launched a diplomatic blitz aimed at garnering a strong majority for a vote granting the non-member statehood at the United Nations slated for next month, officials said on Tuesday.Despite heading for a sure victory in the U.N General Assembly, mostly consisting of post-colonial states historically sympathetic to the Palestinians, West Bank diplomats are courting European countries to further burnish their campaign. "From the E.U. we will have a minimum of 12 votes and maybe up to 15, as some are not yet decided," Wasel Abu Yousef, a member of the Palestine Liberation Organization, told Reuters. There are 27 nations within the European Union.Palestinian officials say that they can count on around 115 'yes' votes, mostly from Arab, African, Latin American, and Asian states, and expect around 22 no-votes, led by the United States, and 56 abstentions in the 193-member organization. Frustrated in their request for full statehood last year amid U.S. opposition at the United Nations Security Council, Palestinians have launched a watered-down bid for recognition as an "observer state" -- the same status given to the Vatican.Senior Palestinian officials have fanned out around the globe to press their case, including a meeting in Paris with French President Francois Hollande at the weekend.Speaking on condition of anonymity due to the sensitivity of the talks, a Palestinian official said they hoped to flip a possible French abstention into a yes-vote, while other waiverers might also switch position nearer the date.Israel and the United States have sharply criticized the Palestinian initiative, arguing that such unilateral moves are in violation of the 1993 Oslo accords, which were intended to pave the way to a "final status agreement" within five years.While Israel expects to lose the forthcoming vote, it is anxious to see leading Western democracies vote against, or at worst abstain. Israeli Prime Minister Benjamin Netanyahu also met Hollande on Tuesday and was expected to raise the issue.In Europe, the Netherlands, Czech Republic and Georgia were among 5 nations that looked set to vote 'no', the Palestinian official said. Palestinians see the upgrade as international recognition of the lines predating the 1967 Arab-Israeli war. They say this will then be the reference point in future peace talks.President Mahmoud Abbas has pledged to restart the talks, stalled since 2010 over settlement construction in the West Bank and East Jerusalem, "straightaway", inferring he would drop a Palestinian precondition for a halt to the building work.The top Palestinian peace negotiator told local newspapers on Tuesday of likely American and Israeli economic punishment should Palestinians win the upgrade.Saeb Erekat wrote of contingencies including U.S. divestment from U.N. agencies and withdrawal of financial aid as well as the withholding by Israel of $100 million in monthly customs payments that the Palestinian Authority needs to remain afloat.The U.S. could "freeze all or some of the funding for the Palestinian National Authority ... put pressure on other governments to discourage them from providing support and/or reduce their aid to Palestine," he warned.Since last year's campaign, the U.S. has withheld $192 million in economic assistance to the broke, aid-dependent Palestinian Authority and stopped funding the U.N. cultural body UNESCO after it admitted Palestine as a member. Ancient wine presses found in Jerusalem thanks to a man who walked his dog. Ancient wine presses have been found in Jerusalem – and will soon be part of a new park – thanks to a resident of Ramot who walked his dog several years ago. The dog fell into a hole and had to be rescued. It later turned out that there are more holes in the vicinity, and that a meaningful archaeological discovery had been made.Jerusalem Mayor Nir Barkat recently inaugurated the designated park, which is planned to become an open Biblical tourist park. The park, which will occupy 30,250 square meters, is located north of Jerusalem Park and northwest of Mitzpe Naftoakh nature park,Among the discoveries at the location are wine presses from the days of the First Temple, as well as pottery shards and two bronze coins from the Second Temple times. Massive digging at the location has been carried out by the authorities with the participation of local residents and school children. 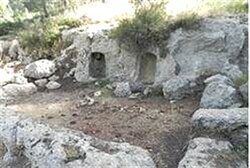 A full reconstruction of the wine presses is planned, under the supervision of renowned archaeologist Amichai Mazar. Dow +56 points at 4 minutes of trading today. Dow -18 points at low today. Dow +79 points at high today so far. GOLD opens at $1,720.40.OIL opens at $86.32 today. Dow -48 points at low today so far. Dow -48points at low today. Dow +79 points at high today. An asteroid, the size of a city block, will squeeze by Earth’s atmosphere and the geostationary satellites orbiting the planet in February, scientists have revealed.It will be the closest fly by in history and many international leaders in asteroid and comet research will gather at the University of Central Florida in Orlando Friday, Feb. 15, for a special “viewing party” to watch the asteroid 2012 DA14 zipping between Earth and orbiting communication satellites (within 14,000 miles of Earth).Experts say there is no chance the asteroid will hit Earth -- this time.But with more than 4,700 asteroids NASA has identified as potential threats to Earth, some as big as 16 football fields, these objects are getting a lot of attention.Humberto Campins, a UCF physics professor who led the first team to discover water ice on an asteroid in 2010, said the asteroids provide clues to the early formation of the solar system and should interest the entire community because they can be hazards as well as resources.Should an asteroid be detected on a collision course with Earth, it will be critical to know its composition and structure in order to deflect it. The impact of a small asteroid like DA14 would equal the destructive power of an atomic bomb. A larger asteroid could be catastrophic.That’s why Campins and the planetary scientists at UCF organized this free viewing party and invited leaders in asteroid research to speak to the public about the reality and myths of these ancient rocks on Feb. 15. UCF and the Florida Space Institute are sponsoring this event.Confirmed speakers include Dr. Michael F. A’Hearn, the scientist who led NASA’s Deep Impact mission, which launched the first man-made object into the nucleus of a comet, and Dr. Harold Reitsema, a former NASA scientist who is part of the B612 Foundation’s (http://b612foundation.org) private effort to launch a telescope that will locate and track asteroids that could hit Earth.The scientists will talk about why asteroid research is so vital to Earth and the new NASA and private efforts to track them.The public also will get a chance to see the fly-by through exclusive live feeds from telescopes in La Sagra and Tenerife, Spain, where the astronomers who first discovered DA14 will be tracking it..Live feeds from Majorca and other observatories are also planned. Astrophysicist and asteroid expert Dr. Javier Licandro, of the Institute of Astrophysics of the Canaries in Tenerife, Spain, also will provide some commentary. BRUSSELS - The Cypriot presidency has proposed cutting €50 billion off EU spending plans for 2014 to 2020 - a number that could trigger national vetoes and strikes by EU staff.The Cypriot paper, circulated late on Monday (29 October), said spending should be "at least" €50 billion less than the European Commission's figure of €1,033 billion over the next seven years.It added: "According to the assessment of the presidency this is a starting point for delegations in order to reflect on the effects of reductions. More sizeable reductions are needed in order to reach a compromise." Breaking down the cuts, Cyprus said cohesion funding - designed to help poor regions in the east and south of Europe to catch up - should go down from €495 billion to €472 billion.Spending on farm aid and rural development should go from €386 billion to €379 billion. Funds for foreign policy are to remain more or less the same at €18 billion. Spending on pre-accession aid and global development should go from €70 billion to €65 billion.It noted that money for EU institutions will also "have to be revised downwards" from the commission's €63 billion, but it did not give a new number.With the biggest cuts to come on cohesion, the Cypriot idea will annoy the 13 eastern and southern EU countries in the so-called "Friends of Cohesion" group.But the overall €50 billion reduction is set to face even bigger opposition from some of the 10 states in the so-called "Friends of Better Spending" club.A "centrist" sub-group in the "better spending" alliance - containing EU paymaster Germany as well as Denmark, Finland and France - had earlier called for cuts of at least €100 billion.But a more hawkish element - containing the Netherlands, Sweden and the UK - wants to go further by cutting €115 billion to €130 billion off the commission's proposal.The UK and the Netherlands have threatened to veto an EU budget deal at an upcoming summit in November if they do not get their way.Swedish sources are also saying "the content of the deal is more important than the timing ... We also have a very strong position." JTA — Jewish institutions throughout the eastern United States remained closed following the onslaught of superstorm Sandy.Sandy, which was downgraded from a hurricane late Monday night, made landfall near Atlantic City Monday, with hurricane-force winds of up to 85 mph and heavy rains.At least 17 people in the United States and 68 outside of the US have been killed so far in the one-of-a-kind storm, and more than 6 million people in 13 states are without power. The UJA-Federation of New York posted a notice on its website that the building would be closed and all meetings and events canceled on Tuesday, and that information on Wednesday’s events would be posted Tuesday night. The Jewish Community Center in Manhattan also announced that it would be closed until it is safe to return.Also in New York, public transportation shut down on Sunday night, and schools and offices in the city were scheduled to be closed. Areas of Brooklyn and the Rockaways were ordered evacuated. Wall Street also shut down Monday and Tuesday due to the weather.Parts of Maryland, Delaware and the New Jersey Shore also were ordered evacuated.In the Washington area, the public transportation system stopped on Monday, and schools, colleges and universities also closed due to expected power outages. Some already announced that they will remain closed Tuesday and possibly into Wednesday, according to the Washington Post.The Jewish Federation of Greater Washington and area day schools also closed Monday.The Jewish Federation of Greater Philadelphia also announced that it would be closed Monday and Tuesday and would resume operations on Wednesday. 25 For I am the LORD: I will speak, and the word that I shall speak shall come to pass; it shall be no more prolonged: will I say the word, and will perform it, saith the Lord GOD. 17 So will I send upon you famine and evil beasts, and they shall bereave thee; and pestilence and blood shall pass through thee; and I will bring the sword upon thee. I the LORD have spoken it. A recent photo posted to the official Facebook page of Fatah’s Information and Culture Commission in Lebanon shows a mother placing a suicide belt on her young son, reported Palestinian Media Watch, which has documented the ongoing glorification of violence and martyrdom by the Palestinian Authority.Beside the picture is written an imaginary conversation between the two which reads as follows:“My mother dressed me in a strange belt (i.e., a suicide belt). Egypt rejected an Israeli request to upgrade the relations between the countries, according to a report in Ma’ariv. Egypt rejected an Israeli request to upgrade the relations between the countries, according to a report on Monday in the Ma’ariv daily newspaper. The report indicated that Israel was interested in expanding the cooperation between the two countries and raising it to a level of ministerial talks between Defense Minister Ehud Barak and his Egyptian counterpart, Abdel Fatah a-Sisi. The Israeli Foreign Ministry, reported Ma’ariv, also wanted to hold a dialogue at the director-generals level. Foreign Ministry Director Rafi Barak last month sent Egypt a request to visit Cairo and meet with his Egyptian counterpart. The Egyptians, however, refused to set a date for the meeting due to the Muslim holiday of Eid el-Adha. Barak’s calls also went unanswered, Ma’riv reported, as Sisi did not respond to several phone calls from Barak. While Sisi is very familiar with Israel's top military brass as well as with Barak himself, he does not want to talk with the Israeli defense minister because of the sensitivity in Egypt with regard to Israel.Another event indicating the high sensitivity in Egypt toward Israel is the cancellation or postponement of a visit by a high-level Egyptian delegation that was recently scheduled to arrive in Israel.A foreign diplomat who is involved in the relations between the two countries told Ma'ariv, "The relations are currently on hold. The political situation in Egypt is very sensitive, and they will not agree to any change or upgrade beyond the levels that were customary during the time of Mubarak.”Despite the fact that Egyptian President Mohammed Morsi recently sent a new ambassador to Israel, the staff at the Israeli Embassy in Egypt have been working from a temporary site since protesters broke into the embassy building in Cairo, reported Ma’ariv. A new building to host the Israeli embassy has yet to be located, and the Israeli flag is not flying in Cairo. As well, the report said, the Israeli embassy is working with skeleton staff who stay in Cairo just three days a week, without spouses. Egypt's president has repeatedly said he would continue to maintain the peace with Israel and uphold international documents signed by prior Cairo administrations, despite opposition from his Muslim Brotherhood backers, who have called for a jihad (holy war) to "liberate" Jerusalem.An adviser to Morsi recently called to urgently change the peace treaty with Israel.Last week, the Simon Wiesenthal Center called on President Barack Obama to publicly condemn Morsi, after he attended a sermon where the preacher called for the "destruction and dispersal of the Jews. "At the same time, Morsi recently sent a letter to his Israeli counterpart, Shimon Peres, in which he referred to the Israeli president as a "great friend." AMMAN (Reuters) - Syrian warplanes bombed rebel targets with renewed intensity on Tuesday after the end of a widely ignored four-day truce between President Bashar al-Assad's forces and insurgents.International envoy Lakhdar Brahimi has said he will pursue peace efforts despite the failure of his appeal for a pause in fighting for the Muslim Eid al-Adha holiday.But it is unclear how he can find any compromise acceptable to Assad, who seems determined to keep power whatever the cost, and mostly Sunni Muslim rebels equally intent on toppling him.Major powers and Middle Eastern countries are divided over how to end the 19-month-old conflict which has cost an estimated 32,000 dead, making it one of the bloodiest of Arab revolts that have ousted entrenched leaders in Tunisia, Egypt and Libya. Violence raged again on Tuesday when the Syrian air force pounded the outskirts of the central city of Homs, where rebels have besieged an army base, and the northern rebel-held town of Maarat al-Numan, which straddles the Damascus-Aleppo highway.Rebels have been fighting army bases in al-Hamdanitya and Wadi al-Deif, on the outskirts of Maarat al-Numan.Some activists said 28 civilians had been killed in the latest air raids on Maarat al-Numan and released video footage of men retrieving a toddler's body from a flattened building.The men cursed Assad as they dragged the dead girl, dressed in a colorful overall, from the debris. The footage could not be independently verified.The military has shelled and bombed Maarat al-Numan, 300 km (188 miles) north of Damascus, since rebels took it last month. "The rebels have evacuated their positions inside Maarat al-Numaan since the air raids began. They are mostly on the frontline south of the town," activist Mohammed Kanaan said.Maarat al-Numan and other Sunni towns in northwestern Idlib province are mostly hostile to Assad's ruling system, dominated by his minority Alawite sect, an offshoot of Shi'ite Islam. "WE'LL FIX IT FOR YOU"
Warplanes again bombed eastern suburbs of Damascus and the army fired heavy barrages of mortar bombs into the district of Hammouria, killing at least eight people, activists said.One video showed a young girl in Hammouria with a large shrapnel wound in her forehead sitting dazed while a doctor said: "Don't worry dear, we'll fix it for you." Two rebels were killed and 10 wounded at al-Mubarkiyeh, a village 6 km (4 miles) south of Homs, where rebels have besieged a compound guarding a tank maintenance facility, activists said.Opposition sources said the facility had been used to shell Sunni villages near the Lebanese border. "The warplanes hit al-Mubarkiyeh five times this morning. Army bulldozers had already razed the village in March," said activist Nader al-Husseini by telephone from near the area. Syria's military, stretched thin by the struggle to keep control, has increasingly used air power against opposition areas, including those in the main cities of Damascus and Aleppo. Insurgents lack effective anti-aircraft weapons.There was no word on Syrian army casualties in the fighting.Divided world powers have been unable to halt the violence, with Russia, China and Shi'ite Iran backing Assad, while Western nations and Sunni states in the region support the uprising.The prime minister of the Gulf state of Qatar told al-Jazeera television late on Monday that Syria's conflict was not a civil war but "a war of annihilation licensed firstly by the Syrian government and secondly by the international community". BEIRUT (AP) — Activists say Syrian troops and rebels are clashing in a Palestinian refugee camp in the capital, Damascus.They also say fighter jets have resumed attacks on the northern province of Idlib and suburbs of the capital. Tuesday's airstrikes come a day after activists reported the most widespread bombing in a single day since Syria's 19-month crisis began.The Britain-based Syrian Observatory for Human Rights and the Local Coordination Committees say fighting in the Yarmouk refugee camp broke out after midnight. They had no word on casualties.Palestinian refugees in Syria tried to stay on the sidelines when the uprising against President Bashar Assad began in March. But many Palestinian youths have joined the fight as they became enraged by mounting violence and moved by Arab Spring calls for greater freedoms. TEHRAN, Iran (AP) — Iran's regular army has begun a two-day ground and air military exercise aimed at upgrading its combat readiness and increasing its deterrence against possible attacks.State TV says the drills involve forces in a wide region in western Iran near the Iraqi border. It showed troops parachuting from helicopters near the towns of Sarpol-e Zahab and Qasr-e Shirin, about 700 kilometers (430 miles) west of Tehran.The war games are taking place amid escalating tensions between Iran and the West over Iran's disputed nuclear program. Israel has hinted that it may take military action if talks fail to get Iran stop its uranium enrichment program.The U.S. and its allies accuse Iran of seeking nuclear weapons, a charge Tehran denies. TEHRAN, Iran (AP) — Iran's foreign ministry spokesman says the standoff over Iran's nuclear program could be resolved quickly should world powers recognize the country's right to master the nuclear fuel cycle for peaceful purposes.The Tuesday remarks by Ramin Mehmanparast during a press conference in Tehran underscores Iran's push to resume talks with the five permanent U.N. Security Council members plus Germany.Iran has indicated that it will be willing to negotiate suspension of its highest level of uranium enrichment in return for recognition of its nuclear rights and the lifting of tough Western sanctions that have squeezed its economy.The U.S. and its allies accuse Iran of seeking nuclear weapons, a charge Tehran denies. Iran is a signatory to the Nuclear Nonproliferation Treaty, and says its right to enrich uranium is non-negotiable. MECCA, Saudi Arabia (AP) — Now that she has finished the hajj and is returning home to Egypt, Magda Bagnied says her family will no doubt try to convince her to put on the headscarf to demonstrate her religiosity after a pilgrimage meant to cleanse her of sin and bring her closer to God.She fully expects that from her parents. But she doesn't want that kind of pressure from her government or leaders. "Leave religion to the people," said Bagnied, a media professor at Ahram Canadian University, in Cairo's suburbs.The annual pilgrimage to Islam's holiest sites offers Muslims a chance to reaffirm their faith and root themselves more firmly in their beliefs. It comes at a time when several Arab nations are facing a similar issue on a political level after uprisings that toppled longtime leaders and brought Islamists to greater power: The question of how much a government should be rooted in Islam.Egypt in particular is struggling with that question. Elections since the fall last year of Hosni Mubarak elevated Mohammed Morsi, who hails from the Muslim Brotherhood, to president. The Brotherhood was vaulted to become the country's strongest political force, along with even more conservative Islamists known as Salafis, who follow a strict Saudi-style interpretation of Islam.As pilgrims were making their way around the Kaaba, the cube-shaped structure in Mecca that observant Muslims pray toward five times a day, and performing an elaborate set of rituals in Saudi Arabia over the past week, Egypt was in a bitter struggle over the writing of the new constitution.Salafis are pressing for the document to explicitly root Egypt's laws in Shariah. That has raised liberals' fears that it will bring stricter implementation of Islamic law and empower Muslim clerics in a political role, limiting women's rights and freedoms of worship and expression. The assembly writing the constitution is dominated by the Brotherhood and Salafis.The Egyptians who performed the pilgrimage this year may be united in the importance they give to their faith in their lives. But it doesn't mean they all agree on the mix of religion and politics. More than 90,000 Egyptians were on the pilgrimage, which largely wrapped up on Monday. They hailed from all segments of Egyptian society, the rich and the poor, and from all corners of the Arab world's most populous nation. Wearing the seamless terrycloth garments worn by male pilgrims to symbolize equality and unity during hajj, Sayid Zeid said Egypt's constitution should represent all Egyptians — and, he added, it must be based on the Quran.How can it be both, given the large Christian minority and the sector of liberal Muslims? "Shariah will be applied by God ... It should be applied as it came down from God," said Zeid, who is a reporter with Egypt's state TV, though he was performing the hajj, not covering it.For some, it seemed only natural that Islamic law would benefit a Muslim-majority nation, putting aside questions of who would interpret it or implement it.Making his way to midday prayers at Mecca's Grand Mosque, which houses the Kaaba, Abdel-Muntalib el-Fikky said there is no reason to fear Shariah or the Islamists. "Why are we all here? We are all here for God," he said of the pilgrims. "Our constitution, God willing, will be good. It will move us forward. "Anwar Saad, a 32 year-old teacher from Egypt's Beheira province, stood on Jabal al-Rahma in Mount Arafat, in the desert outside Mecca during a rite of prayer on Thursday that many feel is the pinnacle moment of hajj. "The Brotherhood have moderate views. They are not conservative like the Salafis. We hope they will apply a moderate form of Shariah for Egypt," he said. "We want God to help Morsi succeed ... There were 30 years of corruption and this will not be fixed in 100 days. Be patient with the president. "Notably, hajj itself shows the variety in interpretations of Islamic rules. For example, in most of the Muslim world, men and women are segregated during prayers. But in the Grand Mosque, the two sexes pray side by side. For most of the hajj rites, women are not allowed to wear the veil that covers the entire face, even though ultraconservative Muslims insist a woman's face should be hidden from males not related to her.Bagnied, the media professor, said she does not fear Shariah but those who would try to interpret and apply it. "What kind of Islam do they want to apply? Afghanistan, Iran or Saudi Arabia?" she said. Bagnied, who does not wear the headscarf that many Egyptian Muslim women don to cover their hair, said she can resist her family's urging her to start wearing it. But she worries that an Islamist government will start to apply political pressure as well on such personal choices.She said many people voted for Morsi hoping that because he is a pious Muslim and will apply "God's law" that their lives will improve. "I think many Egyptians don't know the content of the constitution," she said. "Egypt is full of people talking about politics, but there is a large amount of ignorance in the country and you can convince people (by using Islam) that they have to obey their leaders, who are sheiks and politicians. "Ihab Abdel-Aal, 47, is among those who voted for the former Mubarak regime-era official who ran against Morsi in the past summer's presidential race. Morsi won by just over half the vote. Abdel-Aal has performed the hajj more than 25 times, since he's a tour operator bringing other Egyptians on the pilgrimage.He fears Egypt is turning to a theocracy. "Democracy and freedom are new to Egypt," he said. "There should be no religion in politics and no politics in religion. "Abdel-Aal, like many who work in Egypt's vital tourism industry that was hard-hit due to political turmoil over the past year, said he believes Shariah cannot be applied in all aspects of life. "This will tank the economy and other sectors and just won't work. "Mohamed Abdel-Aziz, who runs a Cairo tourism company, says he has performed hajj more than 30 times. He said the number of Egyptians wanting to perform hajj and umrah, the smaller pilgrimage to Mecca, increased this year. "In any crisis, the first thing a person does is pray to God," he said. "We are in a crisis."